Note: The information in this article applies only to European Economic Area (EEA) residents in support of the General Data Protection Regulation (GDPR). This article does not apply if you live outside the EEA. You can download a copy of all your account data. 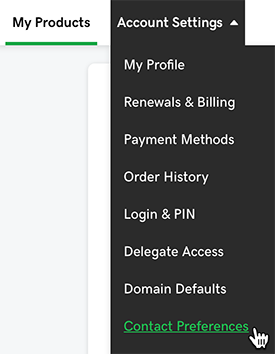 Log in to your GoDaddy account and then select Account Settings > Contact Preferences. In the Privacy section, click Edit. Click Start Download. We'll create a CSV file that includes all your data, and then send it to the default download location on your computer. Why is Domains By Proxy no longer available in GDPR affected areas?